I share my custom skin based on Estuary. Thanks to phil65 and Piers. KODI 17 Krypton ONLY ! For preconfigured widgets, you can change each default widgets but you can't remove one of them. Preconfigured widgets (video, movies, tv shows, music video, music) : Can be change but not remove. Custom widgets : Fully customizable. You can add up to 6 widgets. - Script SkinShortcuts : This addon is needed to personnalize home menu and widgets. - Marcelveldt's BETA repository : Repo from Marcelveldt to install Skin Helper Service and necessary dependencies. - script.module.thetvdb : This addon is needed for Skin Helper Service. - script.module.musicbrainz : This addon is needed for Skin Helper Service. - Script ExtendedInfo : This addon is needed to show additionnal infos about movies, tv shows and musics. - Skin Helper Service Skin Backup : This addon is needed to backup/restore skin settings. - Skin Helper Service Color Picker : This addon is needed to change colors. - Skin Helper Service Widgets : This addon is needed to use widgets. - Script PlayAlbum : This addon is needed to play album on album infos screen. - AutoCompletion for virtual keyboard : This addon is needed to show autocompletion of keyboard. - Library Data Provider : This addon is required to add more widgets. - Next Up Notification : This addon shows a popup next up notification automatically to prompt for playing the next unwatched episode. - Artwork Downloader : This addon can automaticaly download all available artwork for your movies/tv shows in your library. - Global Search : This addon lets you search content in your library. - Youtube : This addon is required to watch trailers. - cu.lrclyrics : This addon is required to display lyrics from songs. - Library Editor Script : This addon is required to edit info in your library. NB : All links are the latest from github. - In Kodi go to "Settings / Add-ons / Install from Zip file". - Select downloaded ZIP file. - Once installed, go to "Settings / Add-ons / Install from repository / Guilouz Repository / Look and feel / Skin" and install Estuary MOD (KODI 17). 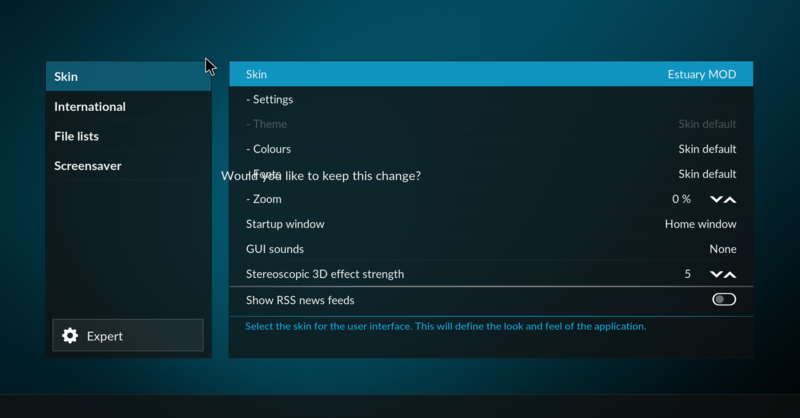 - Select the skin to "Settings / Appearance / Skin". It's repository, my MOD will be automatically updated by Kodi (auto updates must be enable in Kodi settings). Guilouz, the Estuary skin developers declined to add List (everywhere, including inside libraries) and Media View (with the list on the left side) views similar to what we have now in Confluence. Any chance you could add them? (2016-04-04, 02:53)rodalpho Wrote: Guilouz, the Estuary skin developers declined to add List (everywhere, including inside libraries) and Media View (with the list on the left side) views similar to what we have now in Confluence. Any chance you could add them? 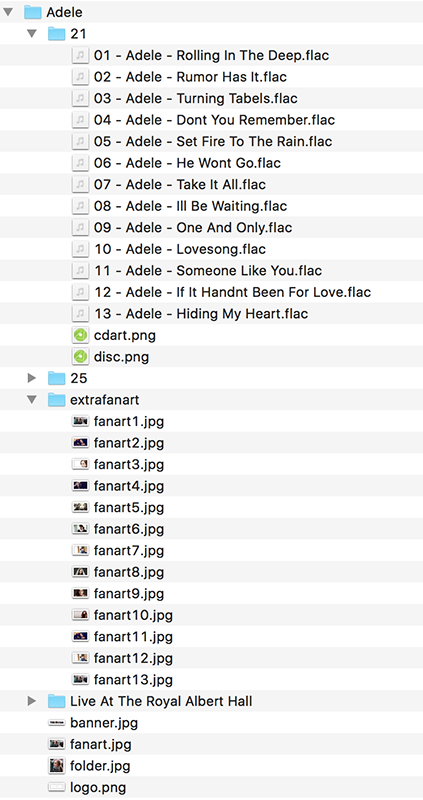 Estuary has a list view, but it only allows you to use it in file views, not library views. As you can see, this TV show is in my library. Estuary has something comparable to the Confluence media view, but with the list on the right side, rather than the left. That drives me up the wall! Couldn't find anything about this in the op.. Is this for Jarvis or Krypton only? edit: Tried installing with errors on Jarvis so most likely Krypton then. 10:51:47 T:8472 WARNING: Previous line repeats 3 times. 10:52:05 T:13340 WARNING: Previous line repeats 3 times. 10:53:20 T:8472 WARNING: Previous line repeats 3 times. Getting this when I try to activate the skin. The dialog window where you have to confirm the skin change is missing. Only the text is showing. I think you don't use the latest build of Kodi. Near perfection skin with your mods, thanks to all for your hard work. - IMDB rating (numbers,not stars) when browsing movies. PS: is it posssible to modify the background with movie's fanart in home screen? There is already rating and mpaa in video infos. (2016-04-04, 22:43)Guilouz Wrote: There is already rating and mpaa in video infos. Just nice to have imdb rating when browsing movies, especially when you have too much movies ^^. does this skin support animated movie posters at all?